Mirrors for Psychic Warfare is Scott Kelly (Founding member of Neurosis, Corrections House, Shrinebuilder, The Road Home, Blood Caldera, River Of Madness, Tribes Of Neurot, and co-owner of Neurot Recordings) and Sanford Parker (Minsk, Buried at Sea, Nachtmystium). Sanford Parker is a producer, recording engineer and musician from Chicago, IL. 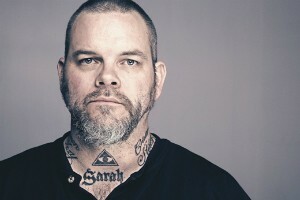 Sanford is known from bands like Minsk, Twilight and Nachtmystium and nowadays is part of Corrections House and Buried at Sea. As an engineer he worked with bands like Eyehategod, Woven Hand and Voivod over the last two years – just to name a few.